In the market for a new job? Have the skills but not getting interviews? Utilize our 10 years of recruiting experience to help. We can't go to the interview for you, but we can help you get interviews for the jobs you want. Simply: we assist with that oh-so-hard-to-get foot in the door. Already have a resume? Have the skills for the jobs you are applying for but not getting noticed by Hiring Managers and HR? We will go over your resume and help you tell your story. Together we will reword your resume to land interviews for your dream job. We'll help you get past the front door so that you have the opportunity to prove your are the right person for the job. Have a resume already and a job you are interested in? RJC will go over your resume with you, help you add the key words words that ATS (Applicant Tracking Systems) are looking for so you can land that interview. This is not a cheat. You need to have the skillset but we will help you properly word your resume so hiring managers see you. New to the job market? About to graduate? Haven't had to write a resume in years? 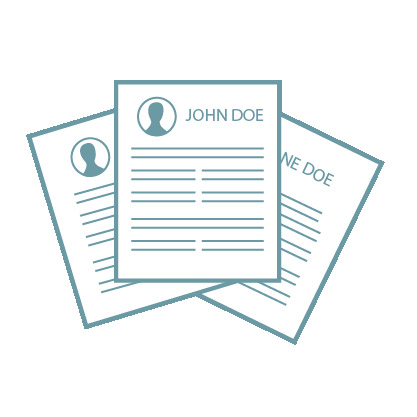 We can write a resume from scratch that highlights your skillset and education. Together we will come up with the right way to market you for the job that you want.